The NASA/GSFC/Wallops Flight Facility provides balloon, sounding rocket launch, and aircraft test and research facilities on the eastern shore of Virginia. 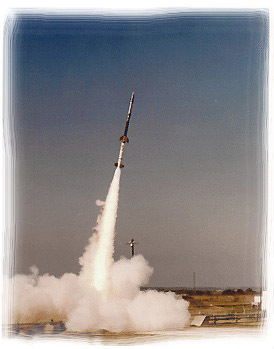 The premature launch of a sounding rocket due to a lightning strike emphasized the need for a means of detecting hazardous cloud conditions prior to the onset of lightning. Eight electric field mill sensors are deployed about the Wallops Mainland, Island Test Range Launch Facilities and the WFF Research Airport. 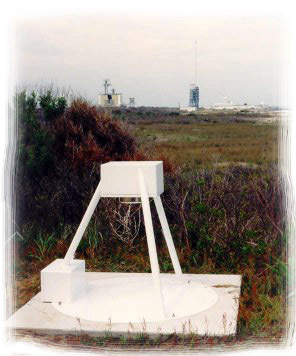 The central base station computer is located at Spander/Atmospheric Sciences Research Facility and communicates with the mills over landlines. A sensory assembly is contained in a weather-sealed, removable module ( Line Replacement Unit) mounted in the upper housing. High energy transient supressors protect the power and communications interfaces located in the lower housing.